The Oaks Montessori School is dedicated to total quality education. Our mission is to provide a safe, nurturing, creative learning environment for the whole person. Areas covered are Practical Life, Sensorial, Language Arts (beginning reading and primary grammar), Mathematics and Geometry, Botany and Zoology, Sciences, History and Geography, Music, Foreign Language, Cultural Arts, Visual Art, Movement Education, and Peace Education. Everyday Living, Sensorial, Reading, Grammar, Penmanship, Creative Writing, Language Arts, Mathematics, Geometry, History, Geography, Botany, Biology, Sciences, Technology, Engineering, Foreign Language, Visual Art, Music, Dance, Physical Education, and Peace Education. "Montessori is the best method of schooling I have found for children to joyfully and effectively learn independence, responsibility, self discipline, leadership, strong academics and life time love of learning. I strongly suggest you visit a Montessori school to observe a classroom and see the light in the children’s eyes. " In 1977, Teri Bickham, began to carry on the legacy in Hammond. Since then she expanded the Montessori programs on the northshore by founding Oaks Montessori School. Is Montessori just for pre-school children? 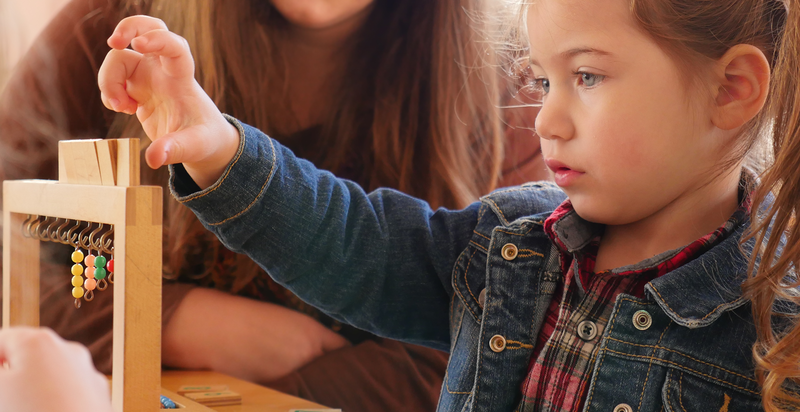 Although the majority of Montessori schools in the United States are pre-schools, Montessori programs exist for children from birth through the age of eighteen. Oaks Montessori School offers a program for children ages 3 through 12. 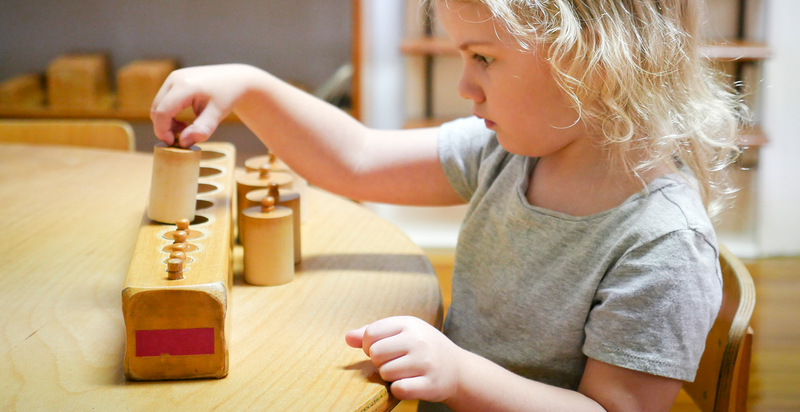 Is Montessori only for special learners - either the gifted or those with learning differences? The hands-on methods used in Montessori classrooms are highly effective with children of varying intellectual levels and learning styles. Children work at their own pace, with the teacher directing them through self-guided learning. Do the children just 'do what they want to' whenever they feel like it? Each classroom environment follows a Montessori curriculum. Montessori is based on the principle of free choice of purposeful activity. The children learn at a young age that with freedom, comes responsibility. What is a 'prepared environment'? This is Dr. Montessori's concept that the classroom environment can be designed to facilitate maximum independent learning and exploration by the children. In the prepared environment, there is a variety of activity as well as a great deal of movement. Children may be working individually, or in small groups-choosing activities at their own pace. Their developmental needs are being met as they experience a blend of freedom and self-discipline. Does the school have report cards? 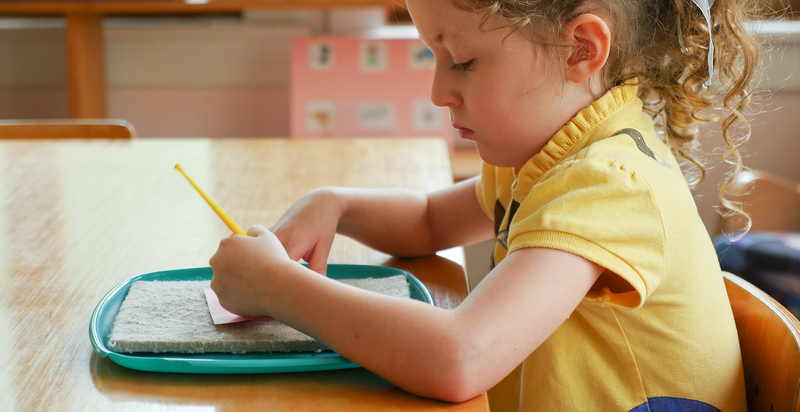 Grades are not given in Montessori schools instead, the teacher makes direct observations of the child's performance to determine his mastery of the subject. Parents are invited to make classroom observations throughout the year, especially prior to a Parent-Teacher conference. Although the conferences are held in October and February, meetings with the teacher are encouraged throughout the year. A written progress report is sent home in January and May for the Primary children, and in October, January, March, and May for the Elementary children. How do the children transition into traditional classrooms when they leave Montessori? Montessori children are unusually adaptable. They have had experiences working independently as well as in groups. They are encouraged to make decisions at an early age, which helps them to problem-solve, make choices on their own, and manage their time well. One predictor of future success is having a sense of self-esteem. 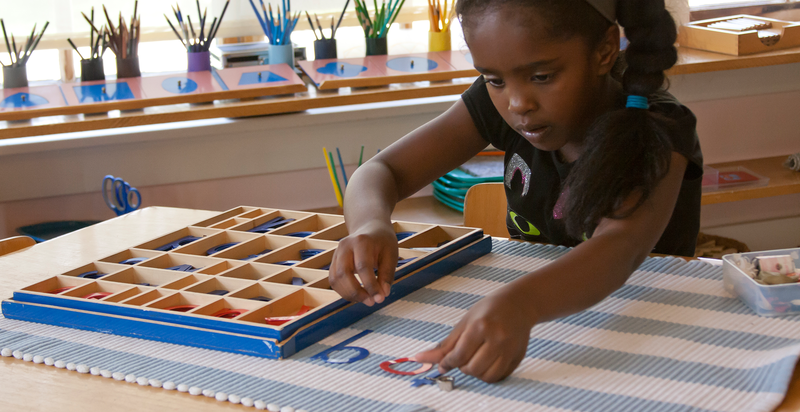 The Montessori program is based on self-directed, non-competitive activities, which helps children develop a strong self-image and confidence to face challenges and change with optimism. © 2010-2016 Oaks Montessori School. All rights reserved.